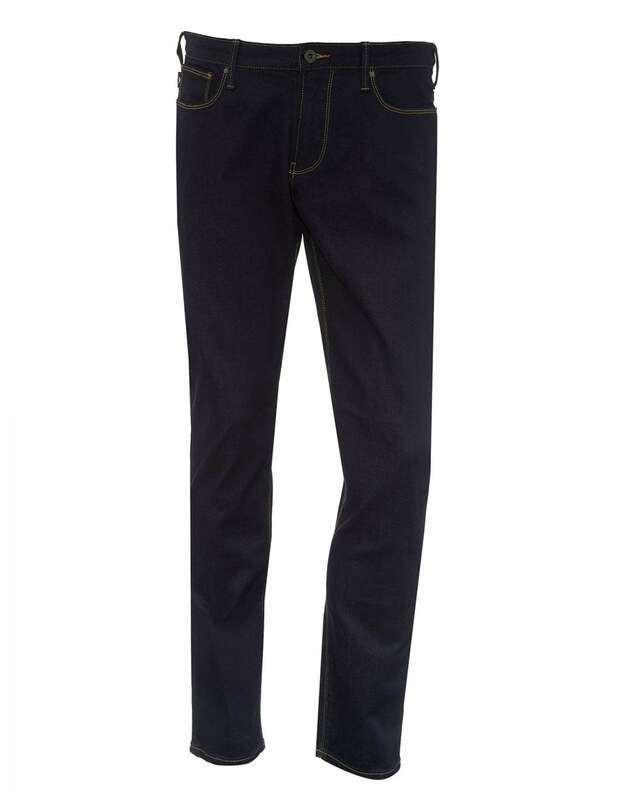 This pair of dark wash, slim-fit jeans by Armani are the perfect companion for casual days. Adorned with Armani eagle branding, these dark wash jeans look great with a contrasting white sweat or t-shirt. Comfortable and stylish, these are a wardrobe essential.